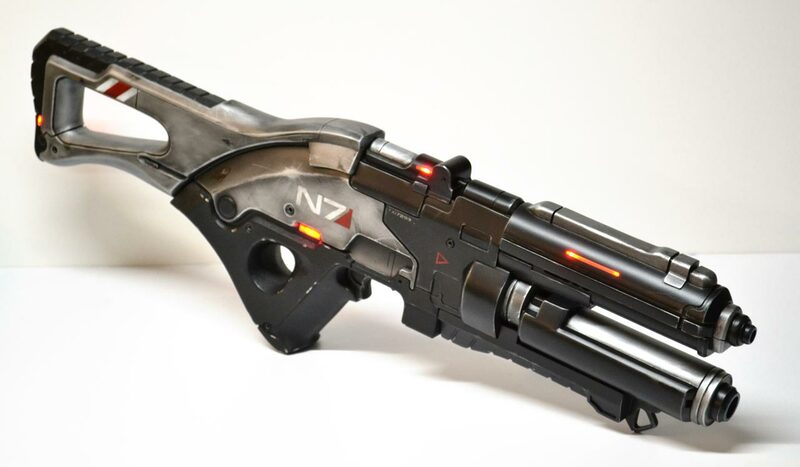 Originally built to showcase Mass Effect 3 at Bioware’s booth for San Diego Comic Con 2011, this rifle was eventually re-created eleven times for various other promotional events and offers. 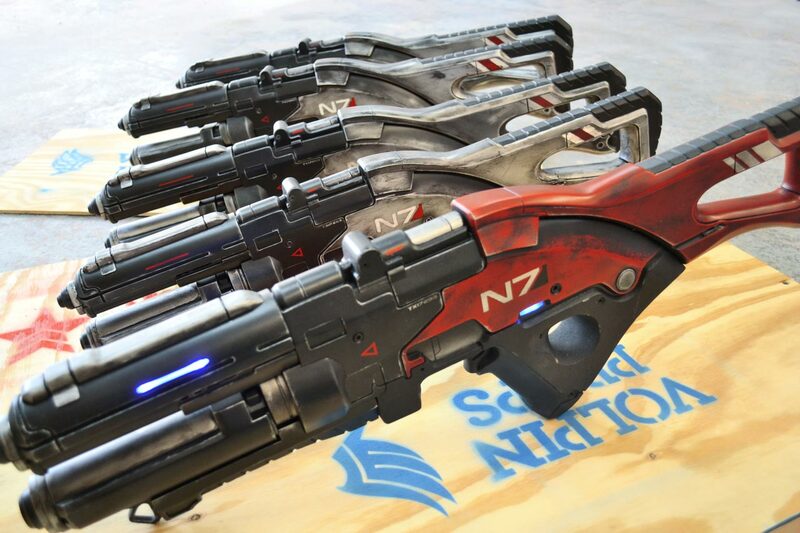 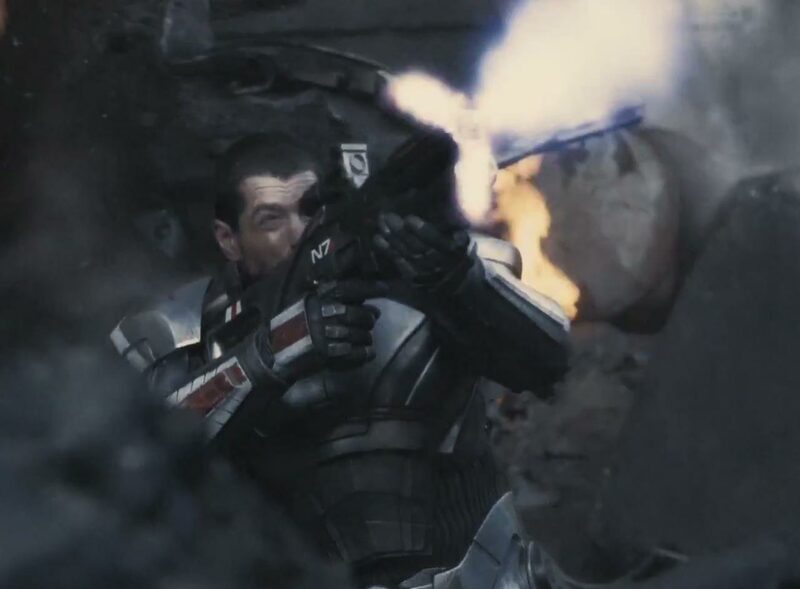 Two rifles were distributed as prizes for GameStop manager’s conferences, an additional four were built as part of Mass Effect 3 pre-release marketing as prizes to fans, and four more were shipped to Prague for the filming of the Mass Effect 3 “Take Earth Back” live action trailer aired in late 2011. 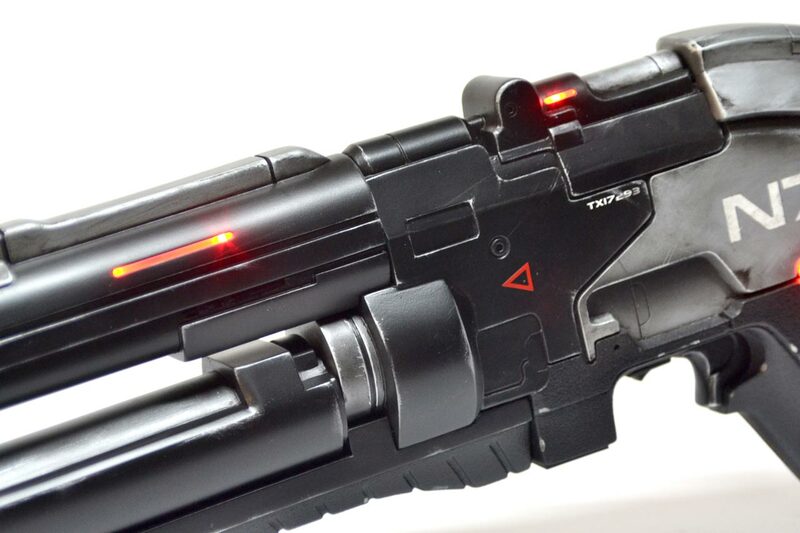 All of the rifles except for the initial SDCC piece feature LED illumination. 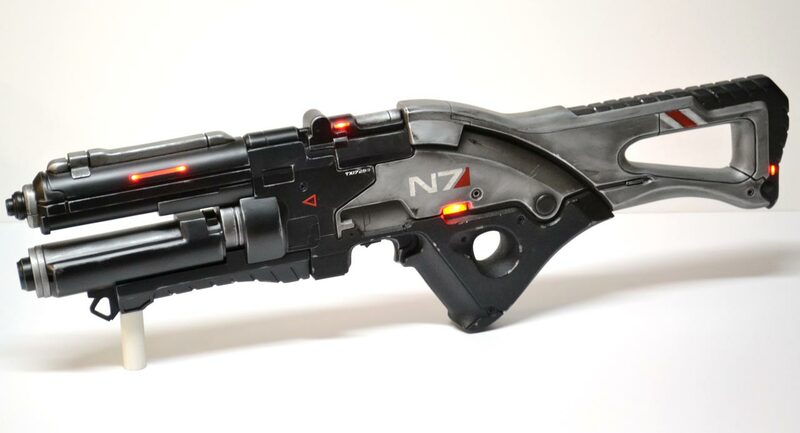 The eleventh rifle is the only variant on the theme; it is painted a very game-inaccurate bright red and resides in my personal collection. 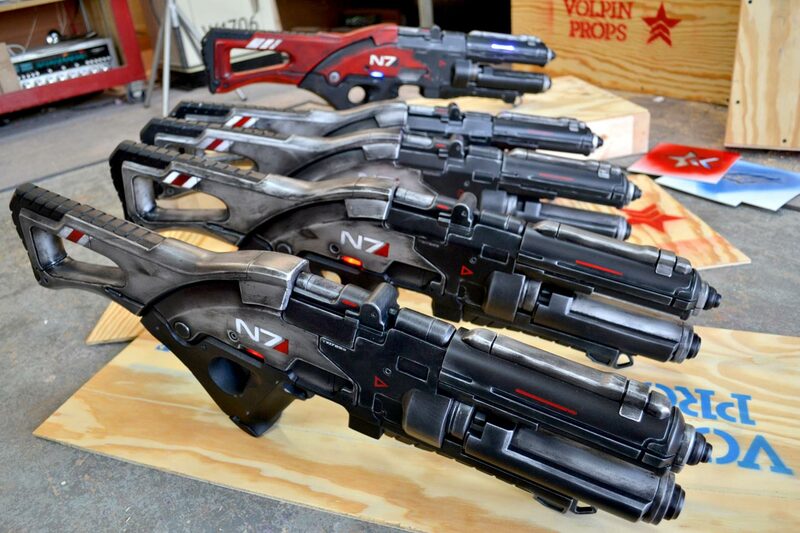 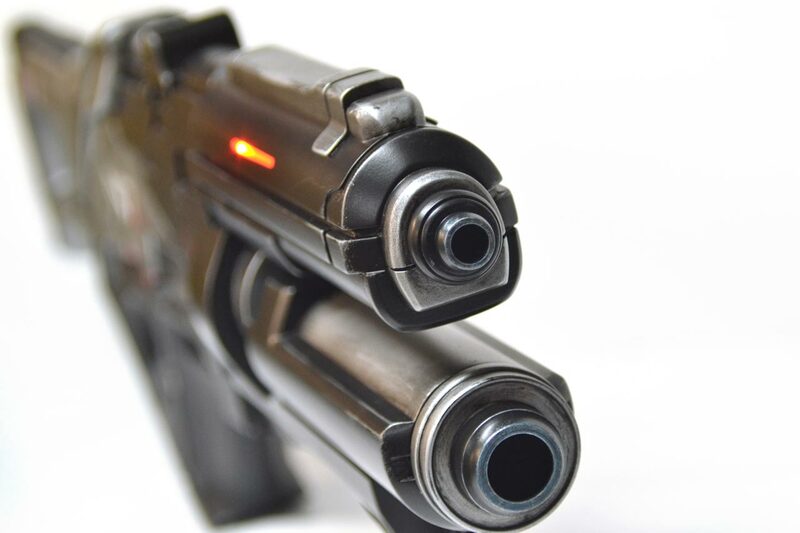 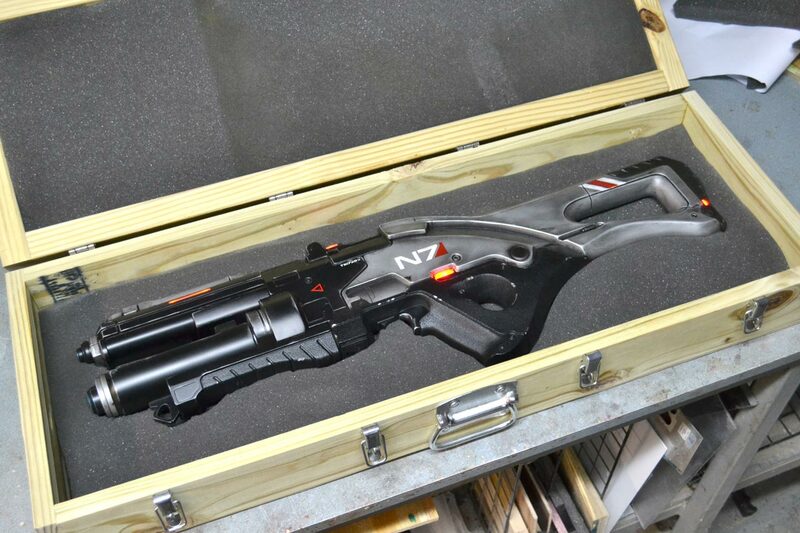 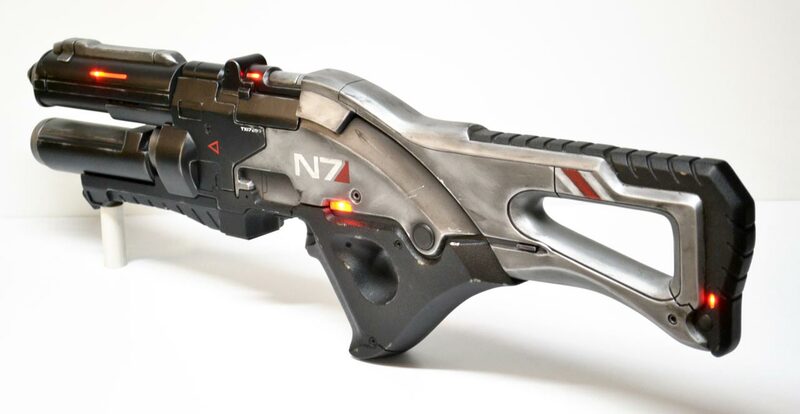 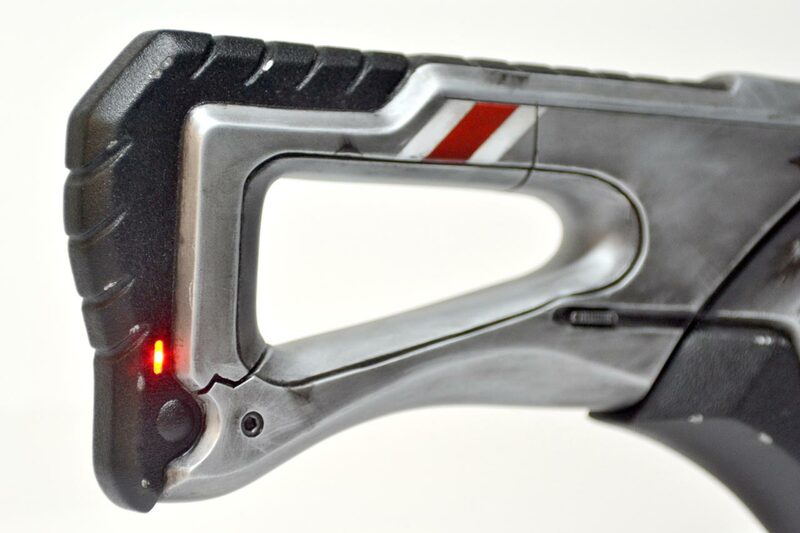 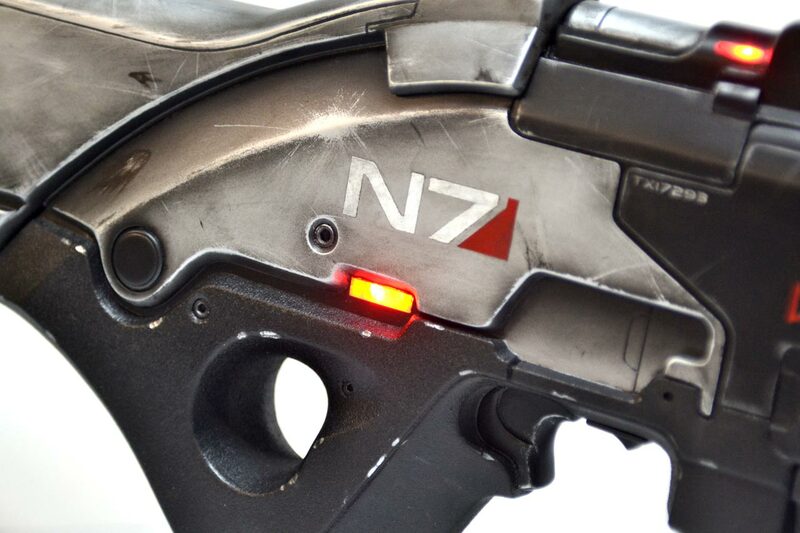 Click here for the Mass Effect 3 N7 Valkyrie Rifle design and build log.